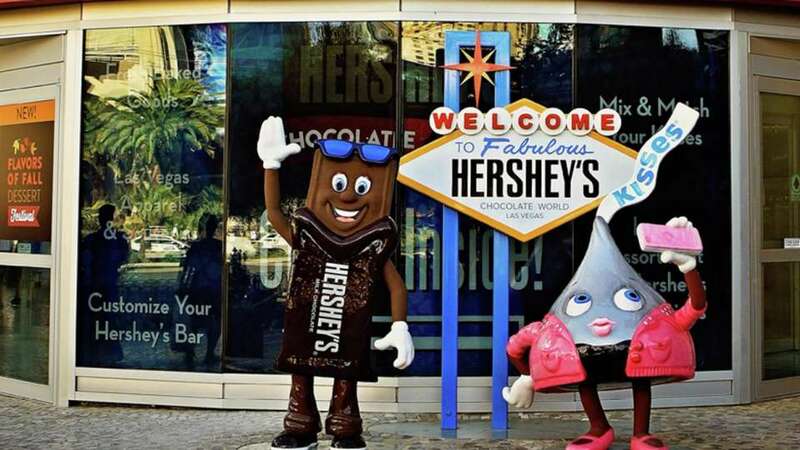 HERSHEY'S CHOCOLATE WORLD Las Vegas store is a two-story destination that features a new retail experience where guests can create their own HERSHEY’S happiness through a variety of interactive experiences. 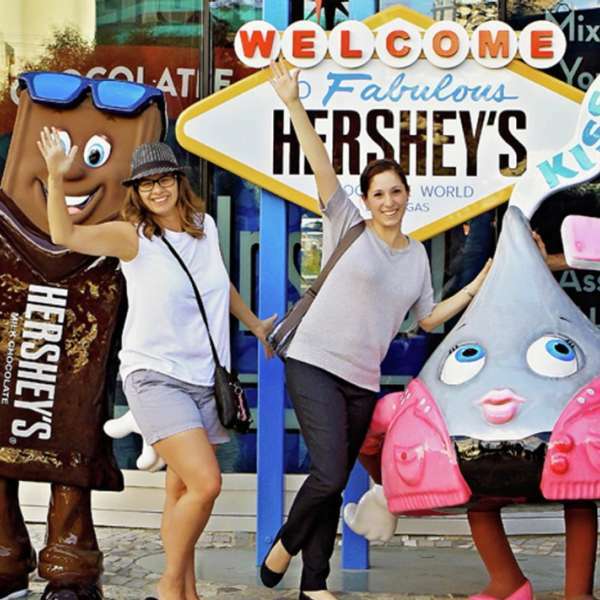 Chocolate lovers from around the world can enjoy unique HERSHEY'S candy experiences, fresh made HERSHEY’S sweets and a wide selection of gifts. 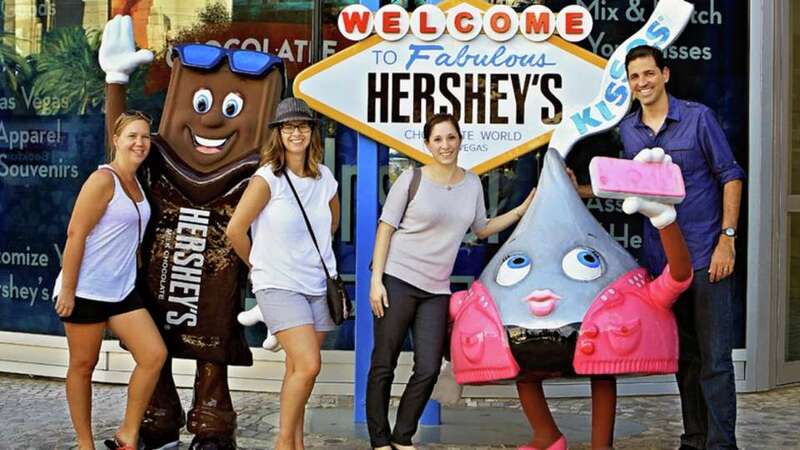 Take a picture with the Hersheys characters. 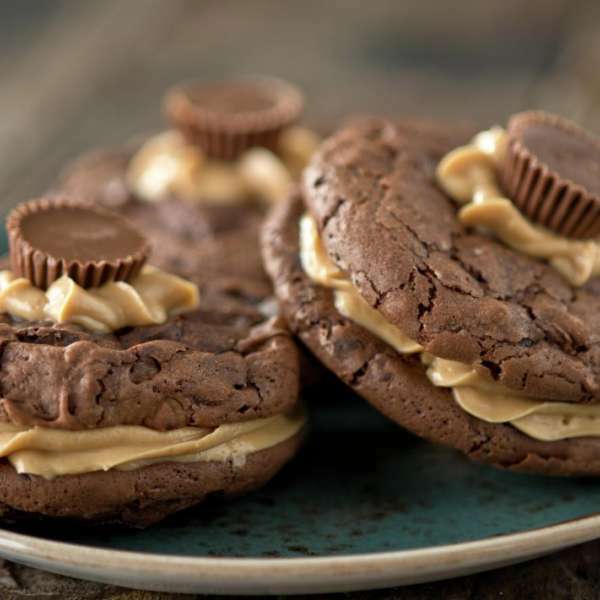 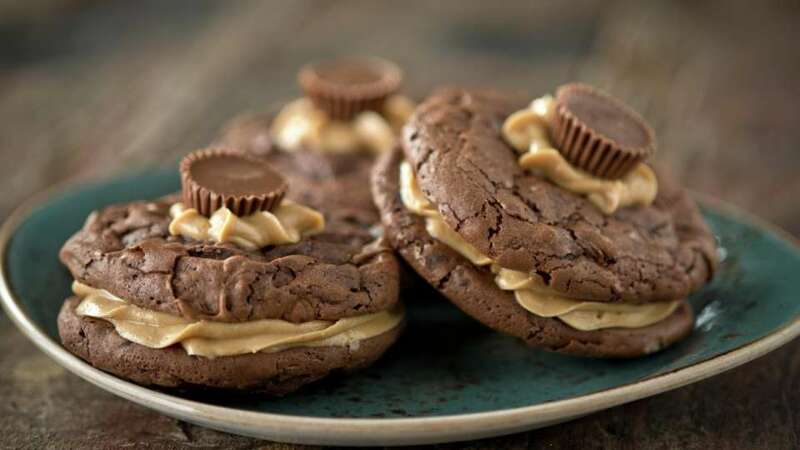 Indulge in a Reeses cookie sandwich at Hersheys. 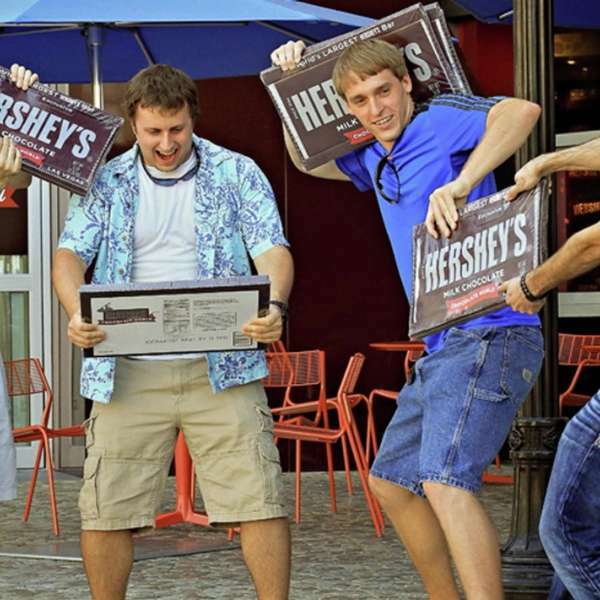 Enjoy a smore at Hersheys. 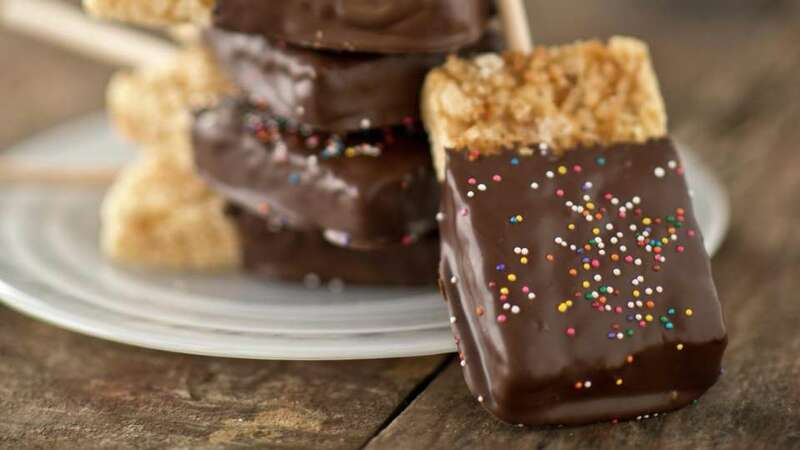 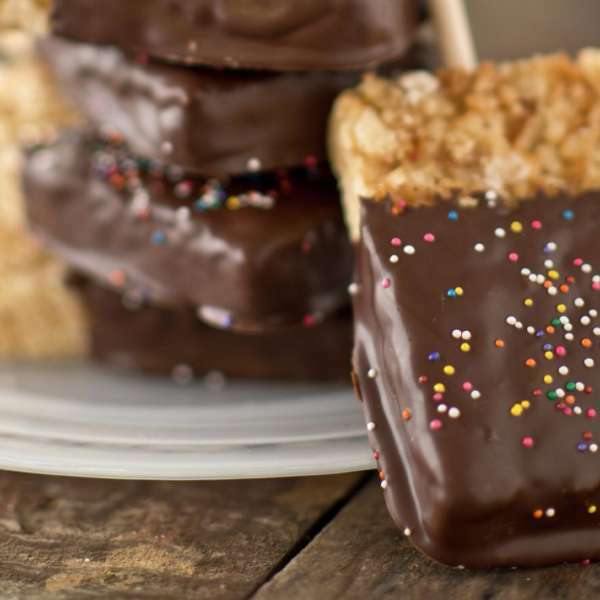 Enjoy a chocolate dipped rice krispy treat. 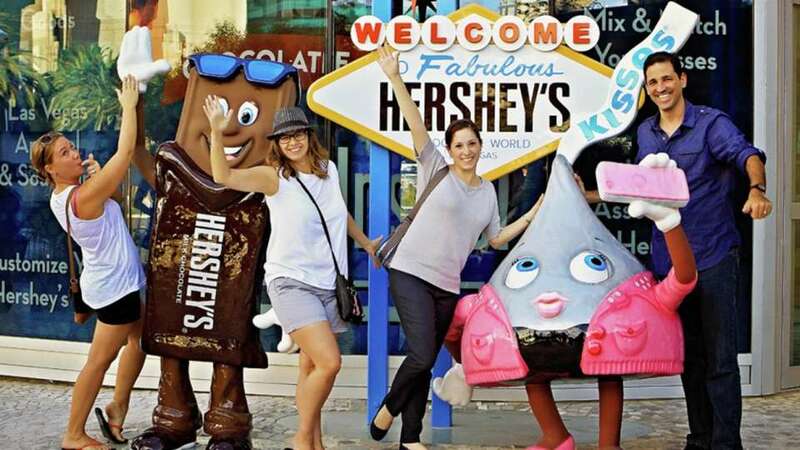 Take pictures with Hersheys characters. 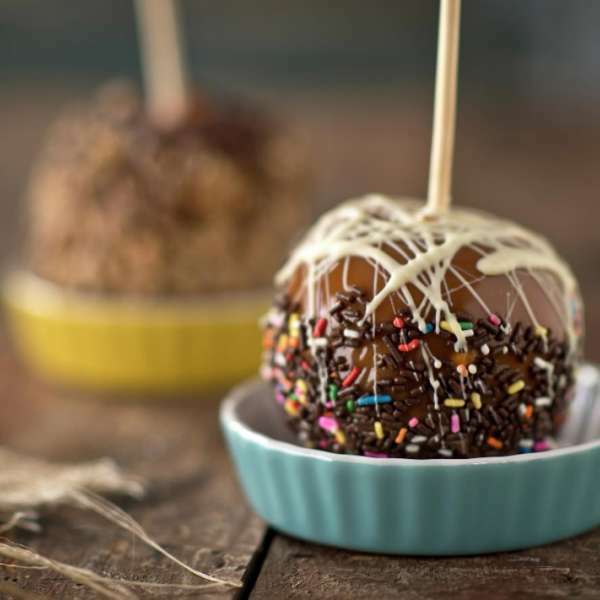 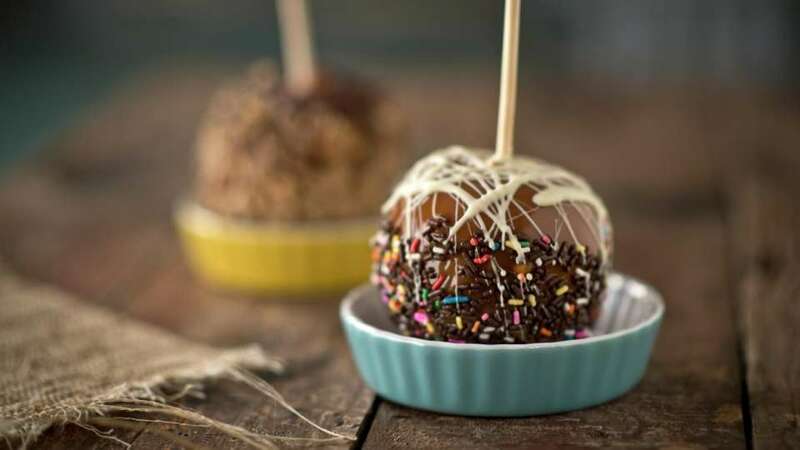 Enjoy a candy apple at Hersheys. 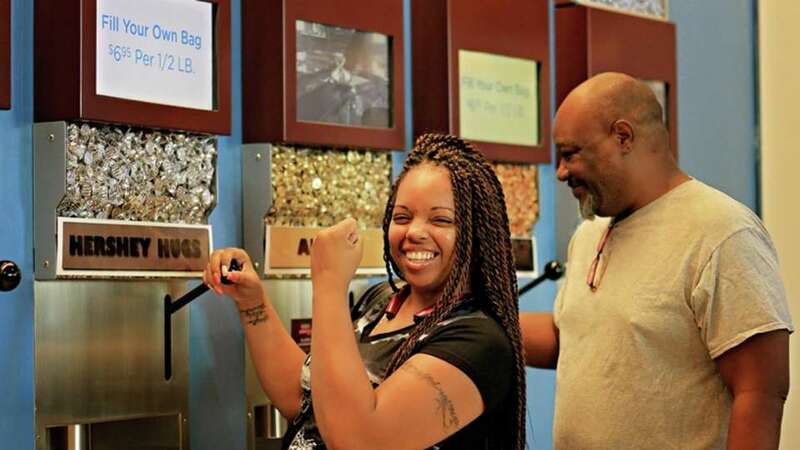 Celebrate the opening of Shake Shop with us! 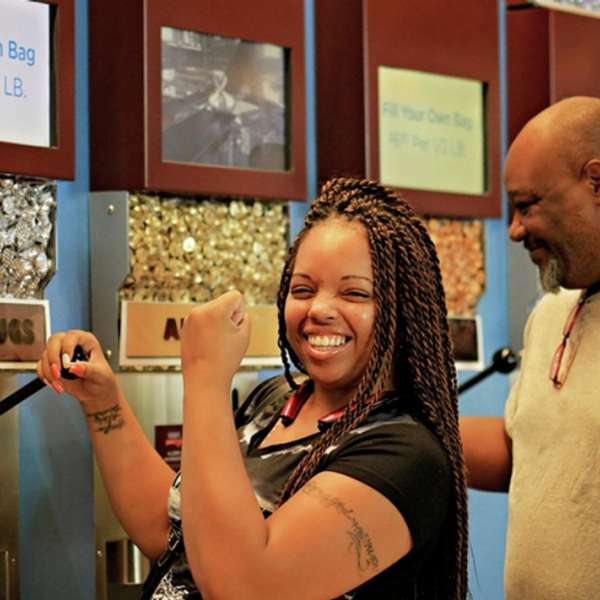 Located inside Hershey's, Shake Shop lets you get creative with some of your Hershey's favorites to create the perfect shake and Razzle! 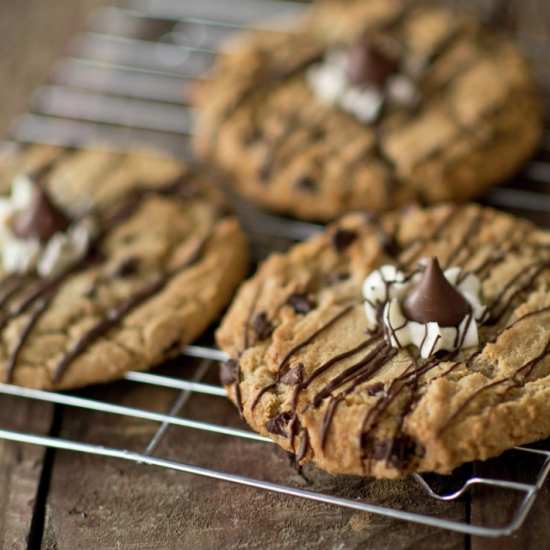 We have delicious milkshake flavors such as vanilla, chocolate and caramel! 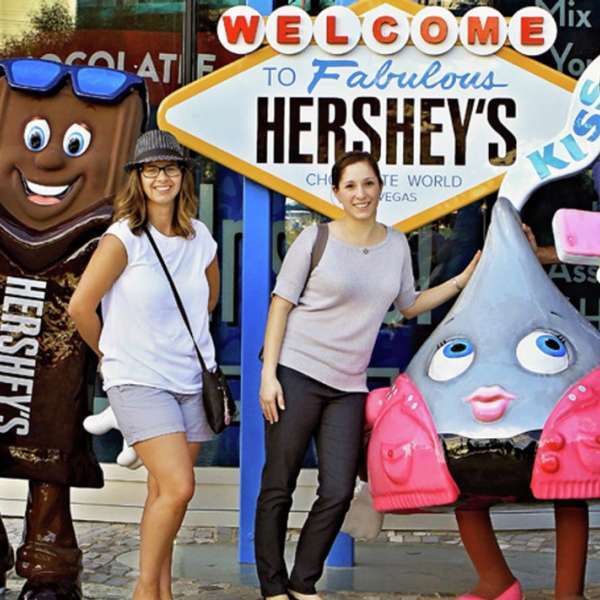 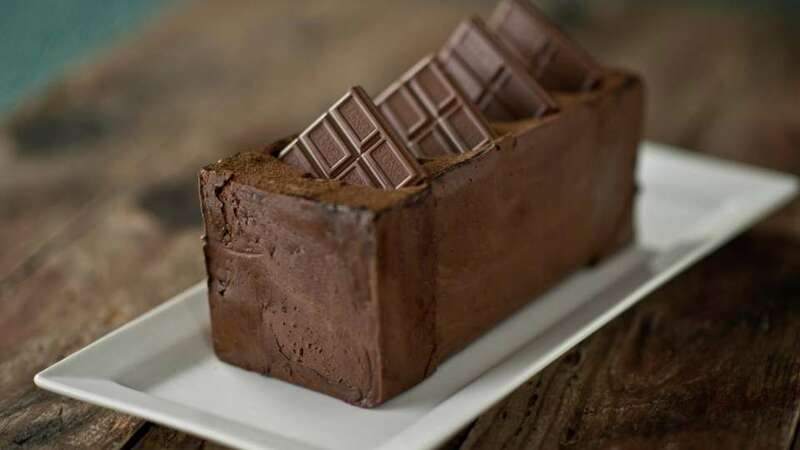 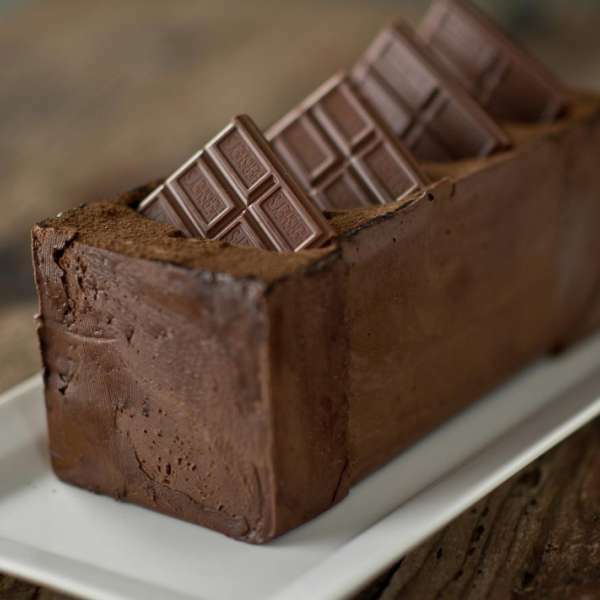 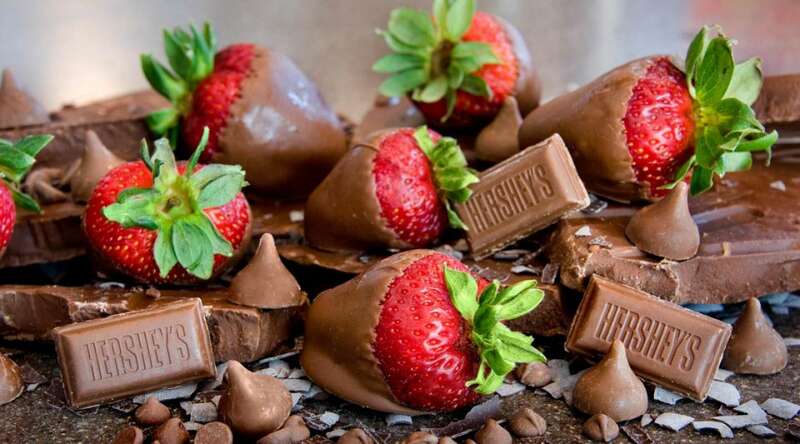 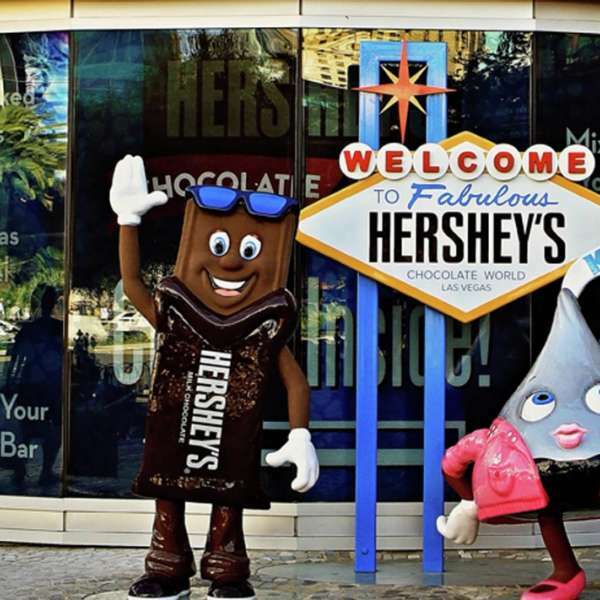 To learn more about Hershey's, click below! 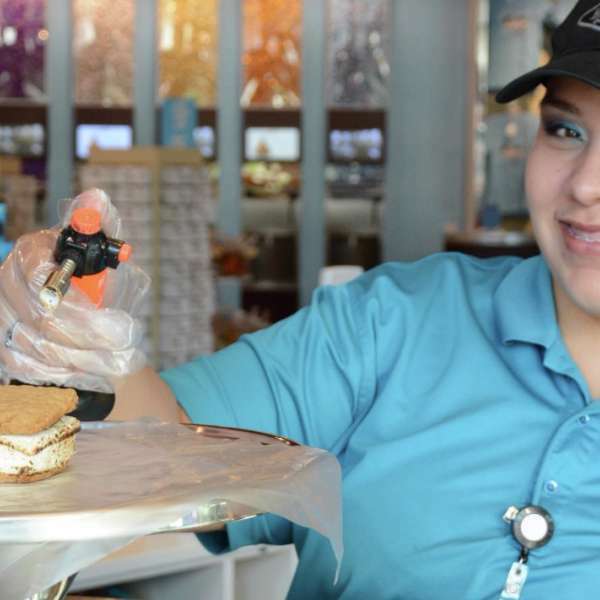 For in-store purchases, save $5.00 when you spend $25.00 or more and $10.00 when you spend $50 or more. 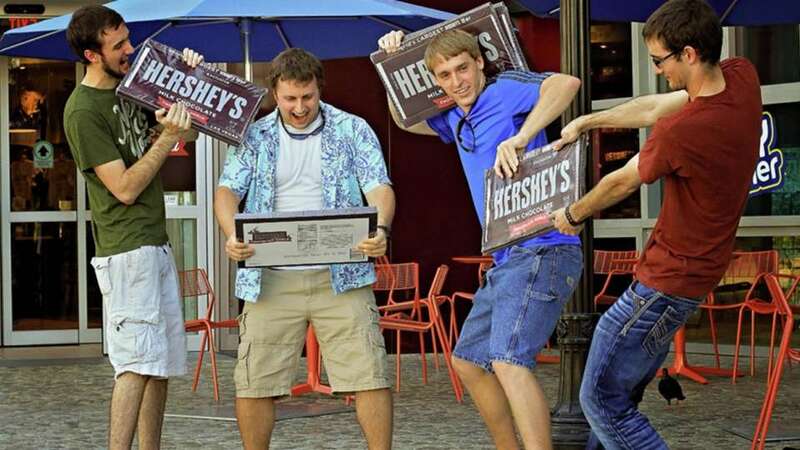 Next to The Chocolate Bar and the Mezzanine escalators.